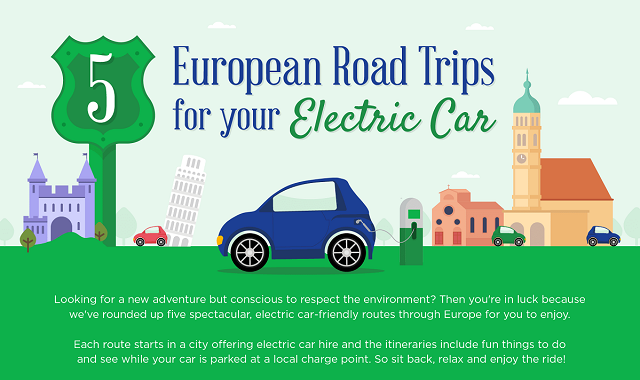 5 European Road Trips for Your Electric Car #Infographic ~ Visualistan '+g+"
Looking for a new adventure but conscious to respect the environment? Then you’re in luck because we’ve rounded up five spectacular, electric car-friendly routes through Europe for you to enjoy. Each route starts in a city offering electric car hire and the itineraries include fun things to do and see while your car is parked at a local charge point. So, sit back, relax, and enjoy the ride!